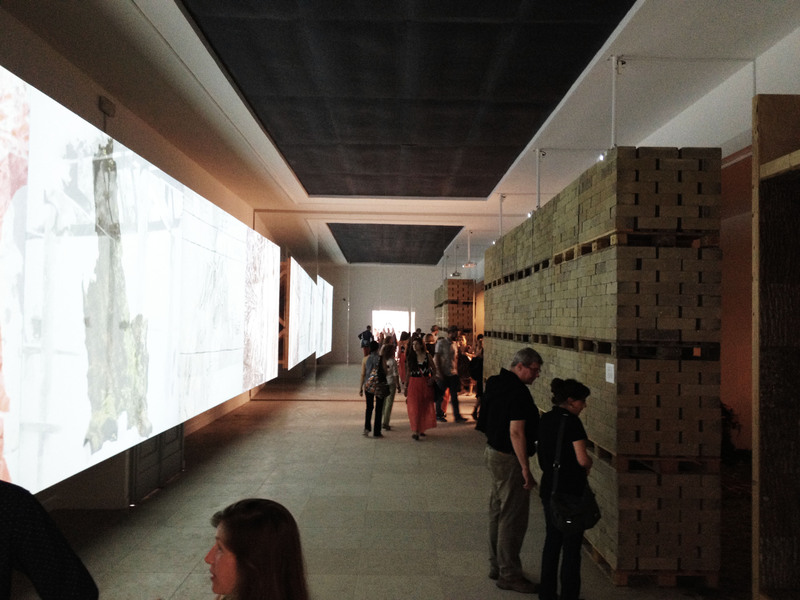 The presence of the national pavilions is one of the typical traits of the Venice Biennale. These usually vary both in approach and in quality. This year everyone was asked to take a look at the last 100 years and the effects of modernization on architecture, they were free in interpreting the superimposed theme. Rem Koolhaas explained in the press conference 1 he didn’t intend this as a demonstration of the triumph of modernity (quote) or as a demonstration of its effect as a cancellation of all local tradition and creator of a global homogeneous cultural/architectural landscape, but rather as a reflection on the last hundred years as a basis for understanding the current situation. The last 100 years have been a tumultuous time in most countries. Koolhaas calls this recent history a painful process, defined by great change that has often happened in a violent and destructive manner and that the national pavilions show that countries all over the world have had to rebuild themselves many times over (politically, financially) demonstrating the unmistakeable link between architecture and politics. 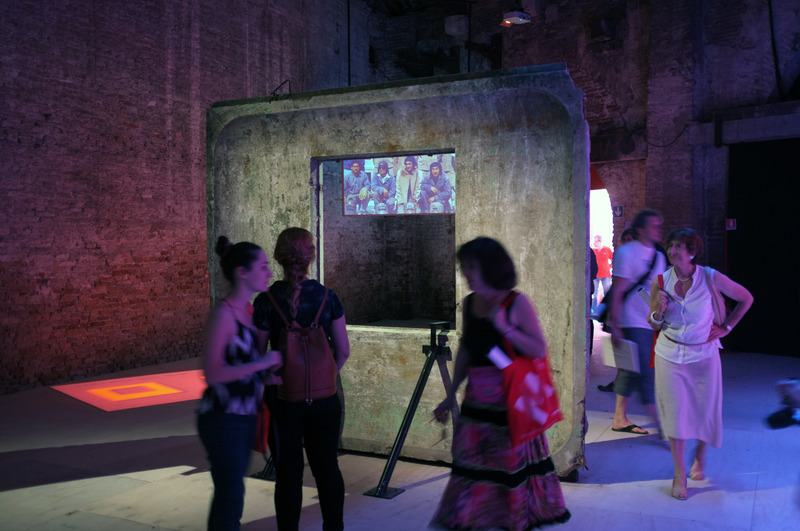 Koolhaas and the director have told about the doubts they had about the national participants accepting this new constraint, but that it was met with a general enthusiasm. It is interesting to note that some of the countries have not explored this period in terms of architecture, like the Latvian entry makes evident. It is not a period that is generally looked upon with much nostalgia. Since there is a specific theme, the many narratives shed a light on a certain period in time without telling A History of Architecture but many stories that together make a more complete whole, or chorus as the director calls it 2. 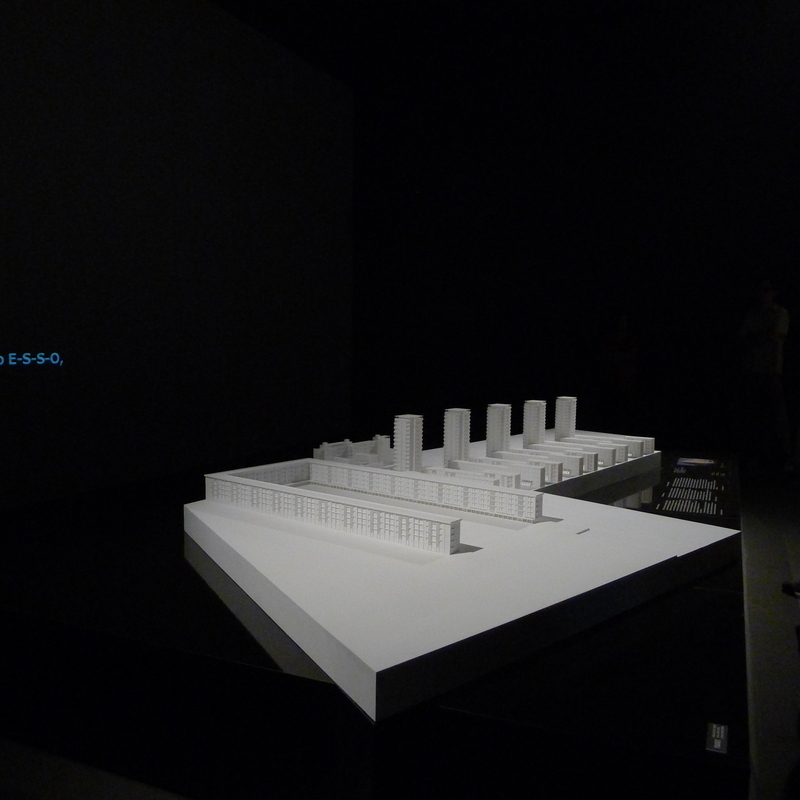 By putting this chorus of voices in the foreground and not focusing on the current state of affairs in architecture, Koolhaas intended to create a hiatus 3 in which we can reflect on the situation we find us in. 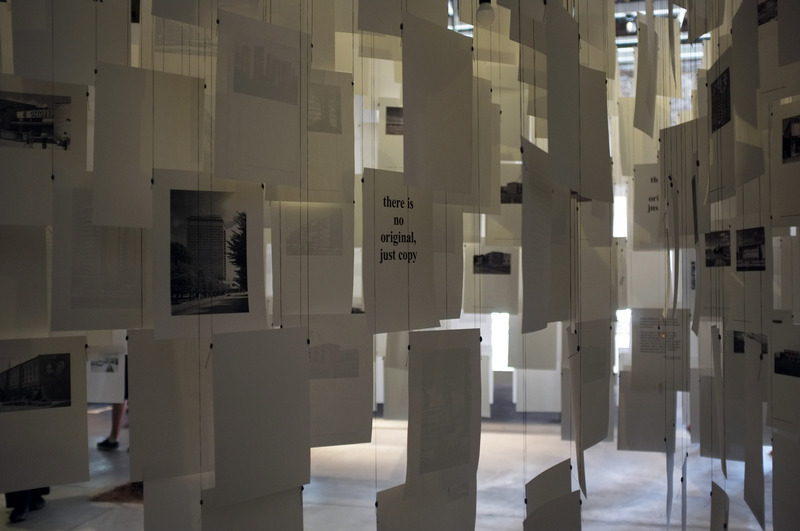 The German Pavilion, Bungalow Germania, curated by architects Alex Lehnerer and Savvas Ciriacidis, focuses on architecture as a tool of communication, in particular buildings as a representation of the state. 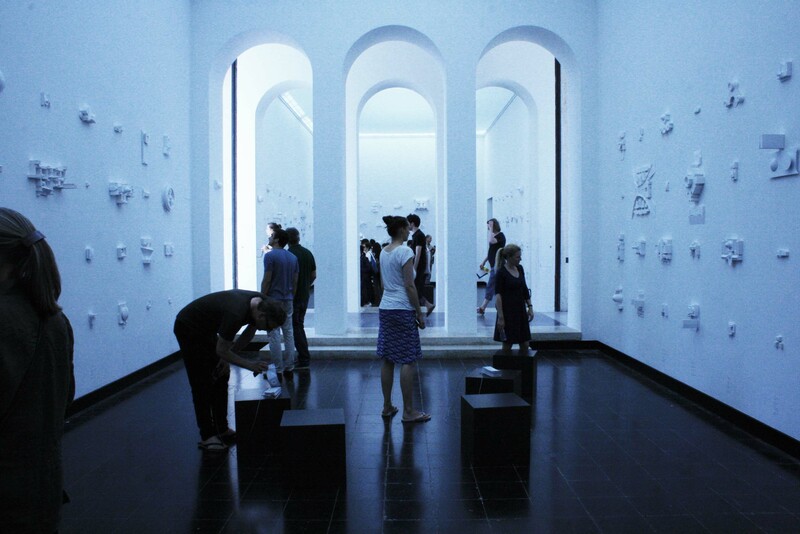 The German Pavilion is one of the oldest pavilions in the Giardini. built in 1912. In 1938 it was redesigned by Ernst Haiger under the supervision of the German government and on a direct order from Hitler. 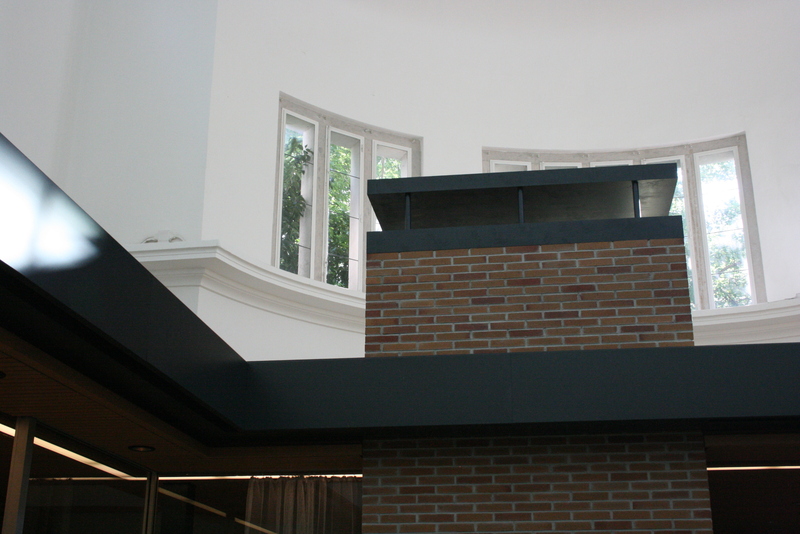 In this building representational of the German state in a certain era, the curators have placed a 1:1 replica of another building, the Kanzlerbungalow built in 1964, that was used actively as a tool for communication in the time of the Bonn Republic. The difference between the two buildings and methods of communication is striking. One speaks of the grandeur and power of the state while the other exudes familiarity; the domestication of politics. 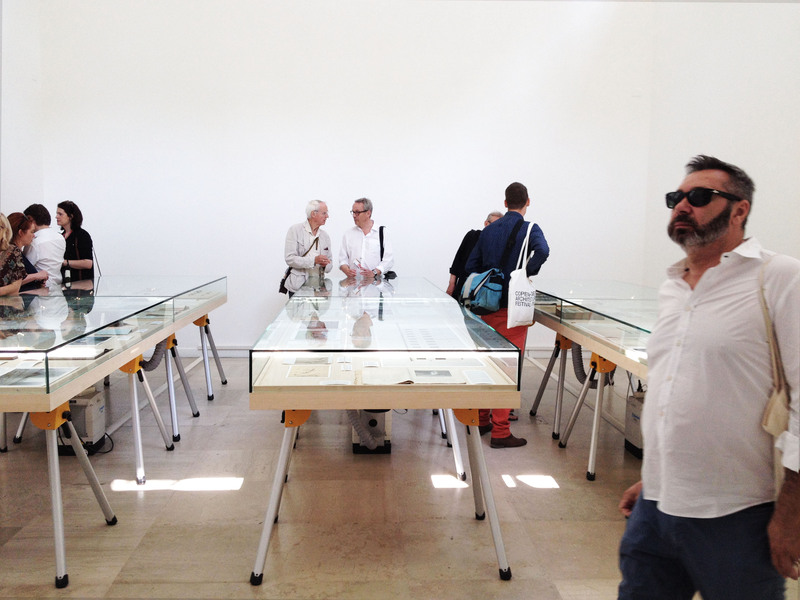 The Swiss Pavilion, Lucius Burckhardt and Cedric Price; a Stroll Through a Fun Palace, curated by Hans Ulrich Obrist, introduces two subjects; sociologist, architectural theorist and planner Burckhardt and architect and architectural theorist Price. Their oeuvre is presented in various ways. 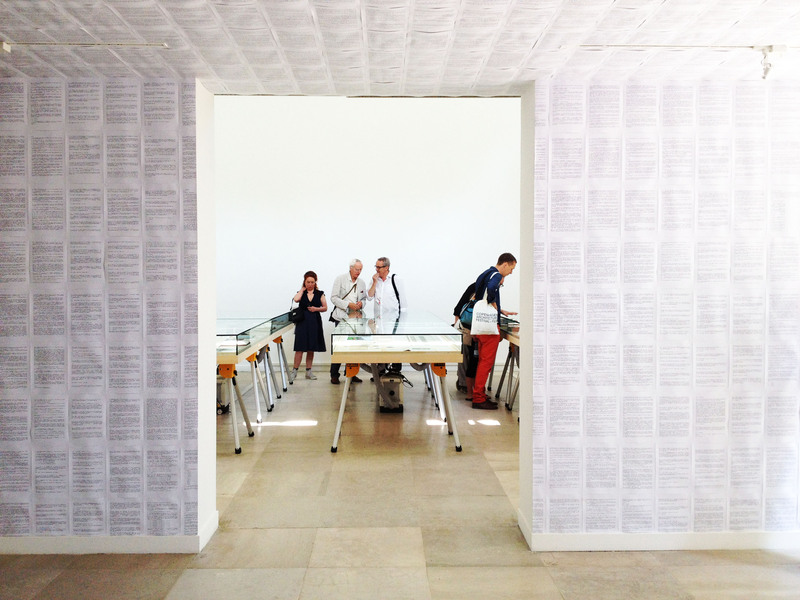 A small (interchanging) team of students or “agents”4 from ETH Zurich will be in the pavilion throughout the course of the Biennale to present the contents of the archives of Burckhardt and Price, ideas and projects, to the visitors in an interactive way. 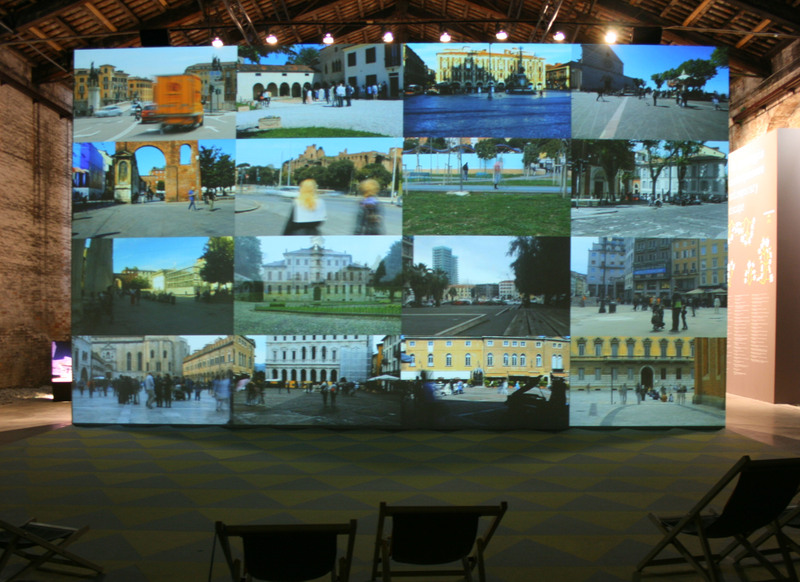 The stage set in which the students operate has been conceived by architects Herzog and de Meuron and artists Tino Seghal, Asad Raza, Dominique Gonzalez-Foerster, Dorothea von Hantelmann and Phillipe Parreno. 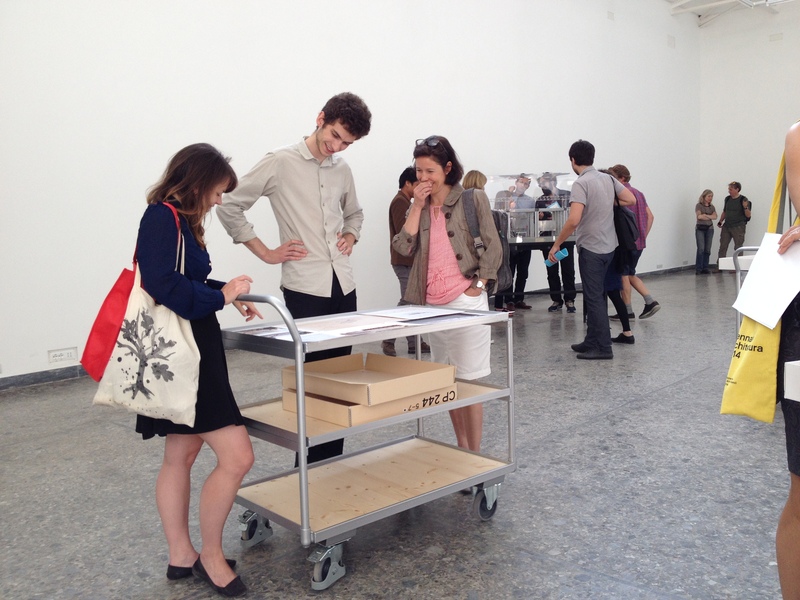 The method of exhibiting the archive, that is centrally placed in the pavilion, is with several trolleys guided by the students who go back and forth into the archive and bring out the ideas. 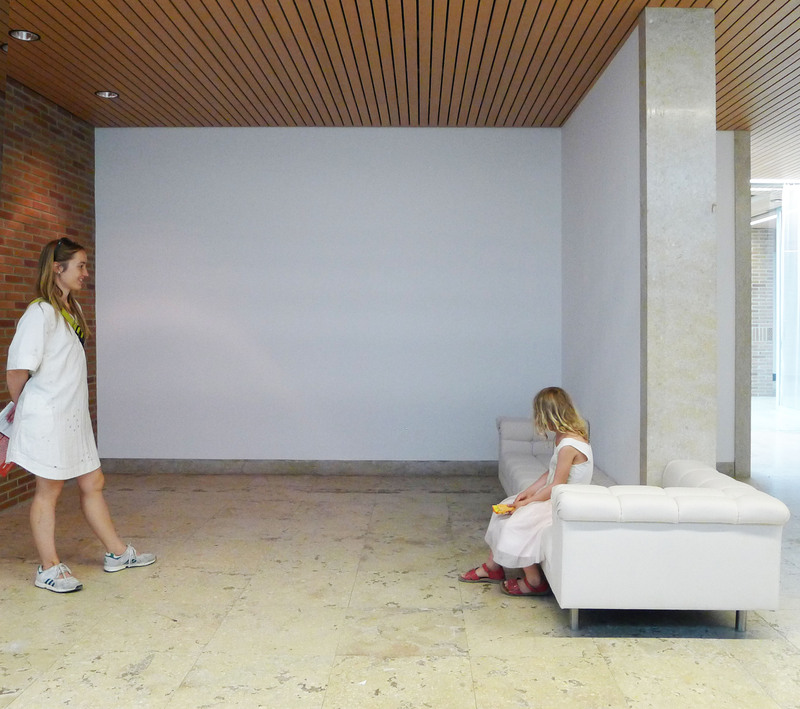 Several installations by artists and architects, inspired by the main characters are placed in adjacent rooms, including work by Atelier Bow-Wow, Ólafur Elíasson, Liam Gillick, Dominique Gonzalez-Foerster, Carsten Höller, Phillippe Parreno, Koo Jeung and Dan Graham. 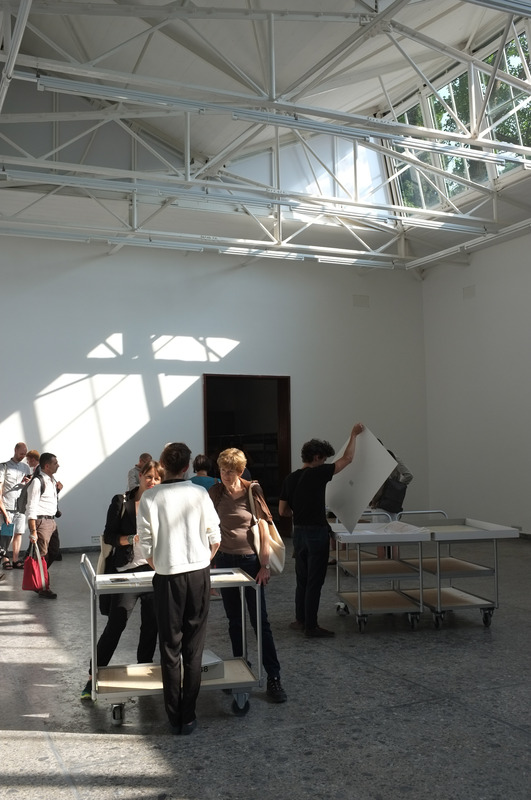 The “courtyard” in the Pavilion was a stage of a “marathon” by Hans Ulrich Obrist in the days of the opening, where collaborators would discuss their work and involve the audience. This sort of activity will continue with the summer-school (going from June to October), a place for learning, where some architectural universities collaborate with key figures from the Pavilion. At first sight the intervention seems almost absent of architecture, but given a closer look it is in fact the very notion of what is architecture that is central here. Both Price and Burckhardt were ahead of their time and saw how architecture and our environment is now increasingly virtual and not necessarily in solid form. 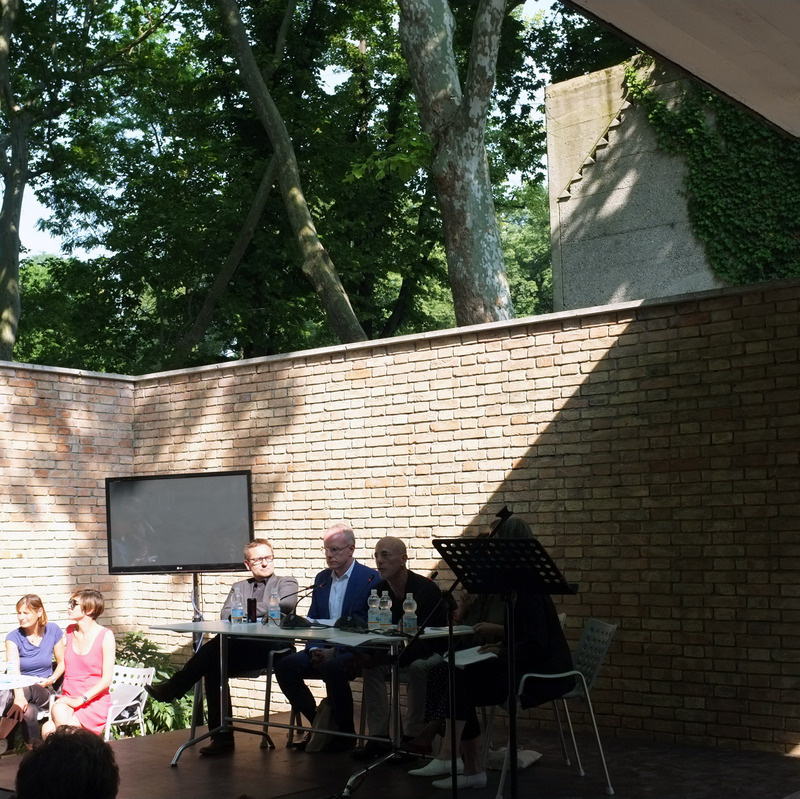 The Danish Pavilion, Empowerment of Aesthetics, curated by Stig L. Andersson has two themes; as well as the umbrella theme of all the national pavilions it also presents DK2050, a vision for Denmark in 36 years. With this alluring title, it is easy to get drawn in. Expectations were lowered slightly when listening to the opening speech of the curator, where the word aesthetics was mentioned many times, but not explained in relation to the theme. The curator describes the problem of architecture of modernity as being too focused on the rational and the technical, rather then the aesthetic, and that thinking only in those terms is what is wrong with our field today 5. 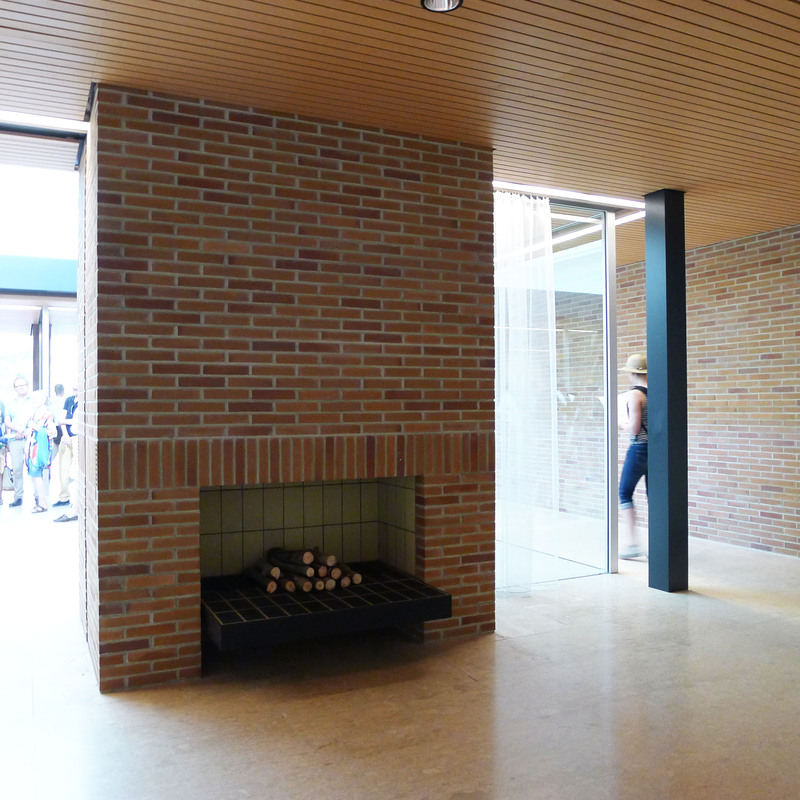 I do not wholly disagree, but as mentioned in the foreword of the same catalogue, the Nordic welfare state is manifested in great detail in modernist architecture that had the clear ideal of the welfare of many. The state would care for its citizens. The shift we have had since the reign of Reagan and Thatcher in the 80’s is that of privatization on a large scale, Koolhaas explains this well: “The greatest and worst documented change is that where even in the 80’s the architect would be the extension of the state, or a city or of the public domain, and therefore had a theoretical connection with the intentions of the state (whether good or bad), often that connection was justified as a reason for collective well-being or a society, what has happened in the last 30 years is that this connection has been totally cut and we are working not for a collective vision but for the individual vision of either people or corporations” 6. Technology and the rational are tools and methods, but not our problem. As identified by Koolhaas, this lack of concern for the collective well-being is physically manifested in our cities and built environments in projects that cater to the interest of a few individuals or companies. That said; the interdisciplinary ways of working in the Danish golden age, 1800-1850 7, where art and science were not in opposite corners but rather indispensable one from the other to arrive at any complete understanding of our world, as was pointed out by the curator as a model of working that is wholly contemporary and very relevant in our field. There is not one truth/history but many narratives that make up our complex NOW, and this cannot be repeated enough. 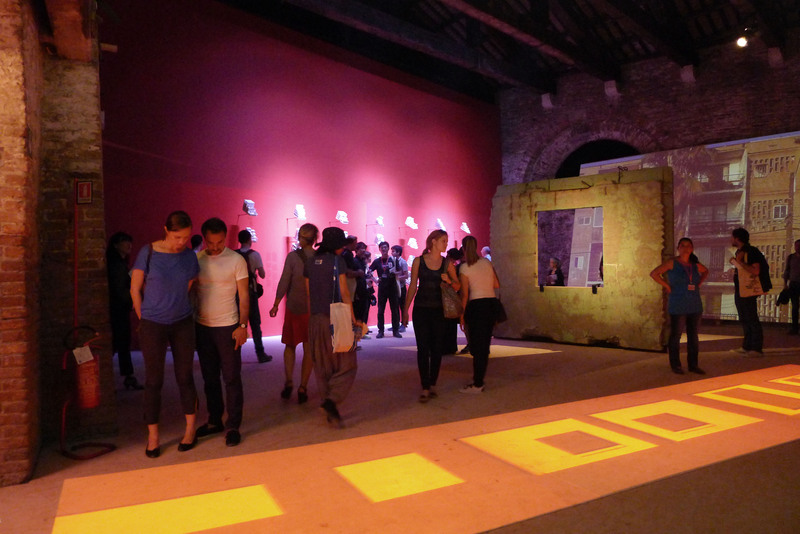 The Chilean Pavilion, Monolith Controversies, curated by Pedro Alonso and Hugo Palmarola, is this year’s winner of the Silver Lion. 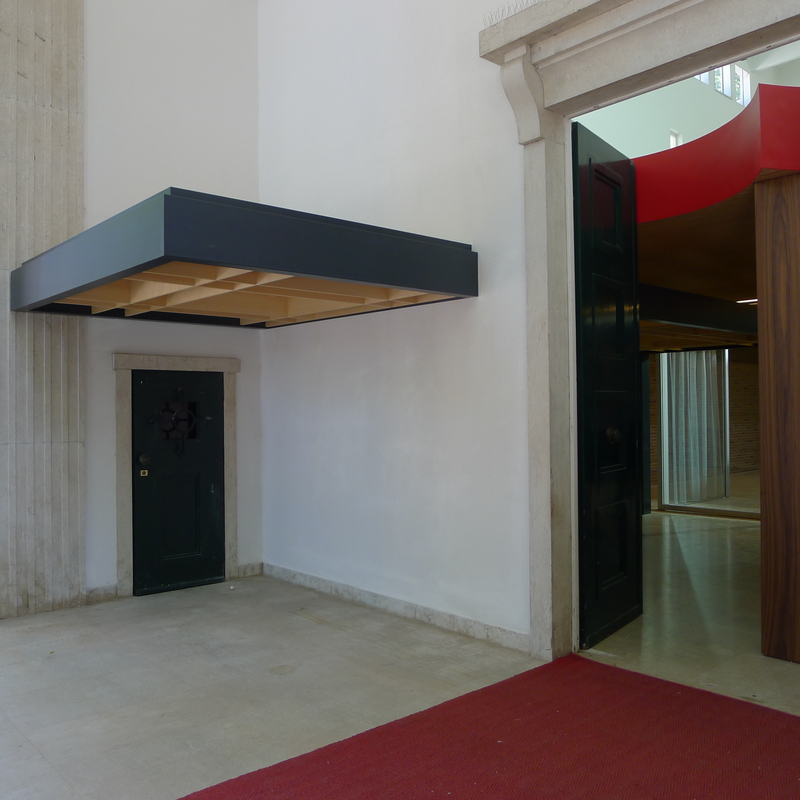 Its centrepiece is a large prefabricated concrete panel or Monolith. 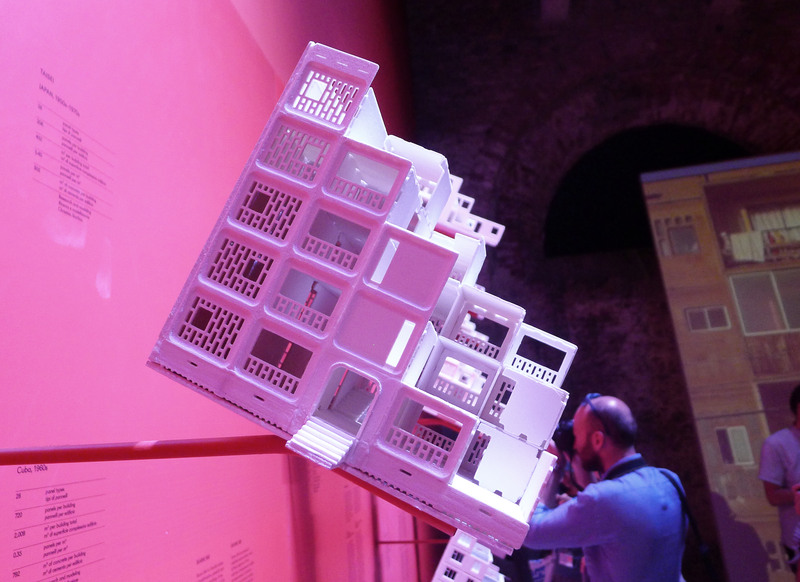 This material thing holds within it a story that explains what Koolhaas has said on one of the main subjects of this Biennale; “Architectures that were once specific and local have become interchange- able and global” 8. The panel was made in a factory in a small town in Chile which was donated by the Soviet Union to the Unidad Popular government. The story of the panel goes back even further, first designed in France by Camus in 1948, the Camus system was then adapted in the Soviet Union in 1955. A shared political system in Russia and Cuba materialized itself in the building of social housing, using the pre-fabricated concrete panel. By the 70’s this building method arrived in Chile from Cuba. The panel is still not synonymous with the socialist ideals as it was then embraced by the neo- liberalist government that succeeded the Unidad Popular. The panel mounted in the pavilion has traces of this history within it. It was meant as a showpiece at the entrance of the factory where it was made, and was signed in the still wet concrete by President Allende. As a gesture of dominance by cancelling recent history, the military government (Pinochet) that took over covered his writing and instead added an image reminiscent of the traditional Chilean house and the Virgin Mary, patron saint of the army. This object was a symbol, and different meanings were transferred upon it. Now you can read a complex history of a nation’s painful process (reference) towards modernization. 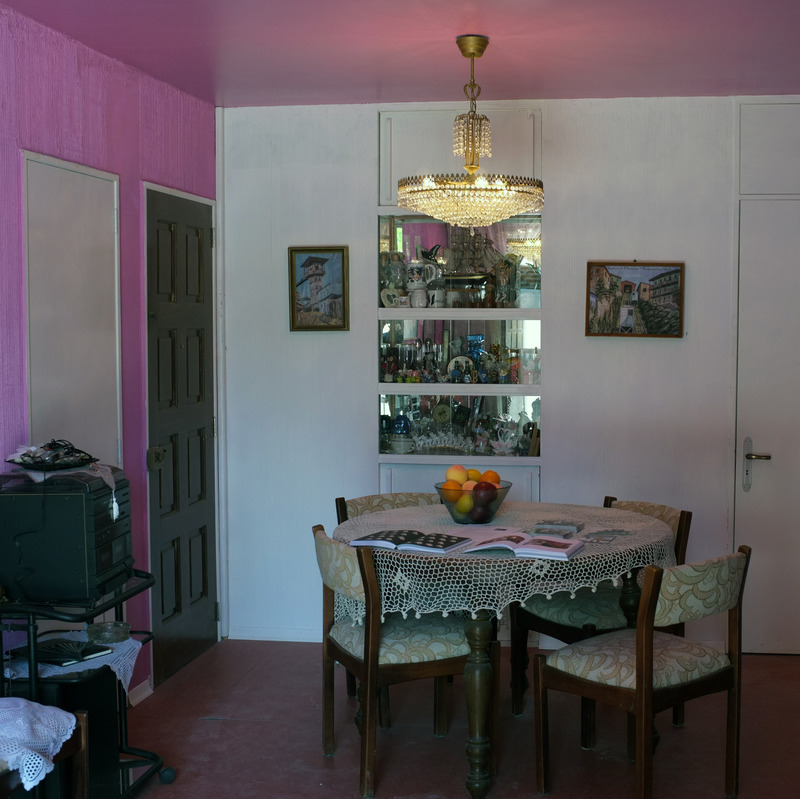 When you enter the pavilion you arrive in a replica of a typical apartment that can be found it one of these housing blocks, of what you can imagine the interior of a Chilean aunt (auntie Silvia Gutiérrez) might look like. The apartment is an exact replica and it also tells a story, with all its 514 objects, the personalized living area that the standardized module makes possible. Following Silvia ́s apartment, you see the panel with images of the housing behind it and an overview and history in models of the prefabricated concrete panel systems. Very interesting read! I must get myself down to the Biennale.